GeniusDV offers certified one-on-one training for learning Avid Media Composer. Ask about a FREE one year Media Composer License that’s fully functional, when you enroll in an Avid certified course! Optional: The full 5 day course is required if you wish to become an Avid Media Composer Certified User and/or Professional. Avid Certification Exams – included in price (optional). Call 24/7 to request a quote and/or schedule course times. Most dates and times are available. GeniusDV’s certified Avid Media Composer training class is an in-depth training course that covers editing techniques and effects for Media Composer 8.X The course is designed for video editors and developers of interactive media.The class progresses through all the phases of creating a project, ingesting media, assembling and trimming sequences, editing audio, creating titles, and outputting a finished program. This course covers Media Composer version 2018.X from the ground-up. However, even the most seasoned editor will learn tips and tricks not covered in the software documentation. The majority of class time is based on an ‘exercise driven’ teaching model, which means you’ll get plenty of hands-on experience. John Lynn is an Avid Media Composer instructor with 25 years of teaching experience. He is one of the world’s most coveted trainers, and is highly regarded as one of the best certified instructors available. Download the certified Avid Media Composer course outlines and guidelines here. The first two days (Avid Fundamentals 1) is the first step in achieving confidence, creativity, and efficiency with Avid Media Composer. This course provides the initial foundation for Media Composer User Certification. This course will get you editing today with a built-in Quick Start guide covering the essential tools you need to start a basic project, assemble the story, and output to web — perfect for producers, journalists and corporate videographers. 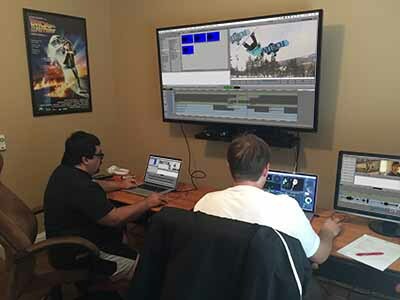 For those headed toward a career in post production, the second half of the course builds on the critical aspects of editing for news, documentary, commercial spots, and scripted narrative films. Learn by doing with real-world projects. Start with the basics of 3-point editing and how to construct a sequence. Then move on to reworking scenes and trimming dialogue. Learn critical skills needed to work as an editor, including how to sync picture and sound from different sources, organize a project, manage media and metadata. Learn the tools and techniques to mix music and sound effects, create titles and transitions. Then deliver the program to specifications. advantage over other non-linear editing systems. We will teach you the differences between clips, mediafiles, bins, sequences, and projects. We will show you how all these elements function and work together and where they are stored. Within the first day of class, you will learn the skills to be proficient in putting together a sequence. Learn how to work with synced dialog. This is an extremely important editing skill. You will get the opportunity to edit a REAL syndicated television show. We will show you the secrets to keeping your sequence(s) in sync. You will learn how to trim and create split edits that will help improve the flow of your edited project. We will show you how sync-locks work, and why they are important. You will also learn how to recover from a sequence that is out of sync and how to repair it. After you complete this section of the class, you will discover how locators work and how they can be used to your advantage. You will learn how segment mode works, and why it is different from three-point editing. We will cover some advanced trimming techniques including slipping and sliding segments. The Avid software provides several ways to work with audio elements. You will learn how to adjust audio levels using the audio mix tool. You will also have time to experiment using the audio rubber band method of adjusting audio levels. Then you will have time to explore how the automation gain tool works. Learn how to add additional audio filters and effects to spice up your mix. We will cover all of the functions available within the Avid Title tool, including how to create drop shadows, glows, and special effects using type. You’ll also learn how to create specialized templates and style sheets that will help give your project a consistent look. Day 3 is the start of Avid Media Composer Fundamentals II course. In this class you will learn the critical fundamentals of creating effects. Learn how to create custom transition effects that are easily accessible from the Avid interface. You will learn how to work with multiple video layers. We’ll teach you how to create complex motion paths by creating templates. You will learn how to use video filters. This includes learning about color correction, masks and image paint. We will teach you the critical fundamentals of the tracking system.